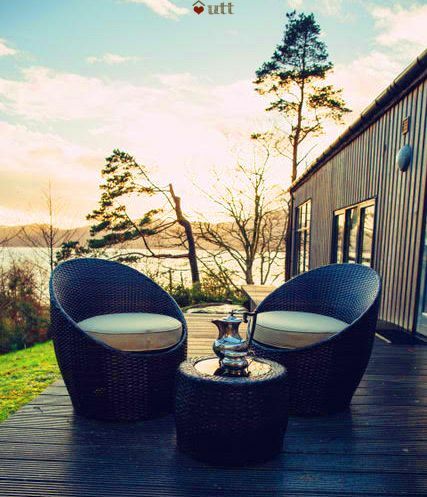 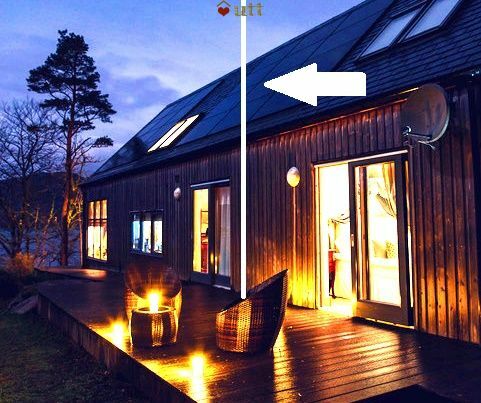 The Studio on the Loch is a small, luxury contemporary apartment for two with the owner's award-winning contemporary waterside home. 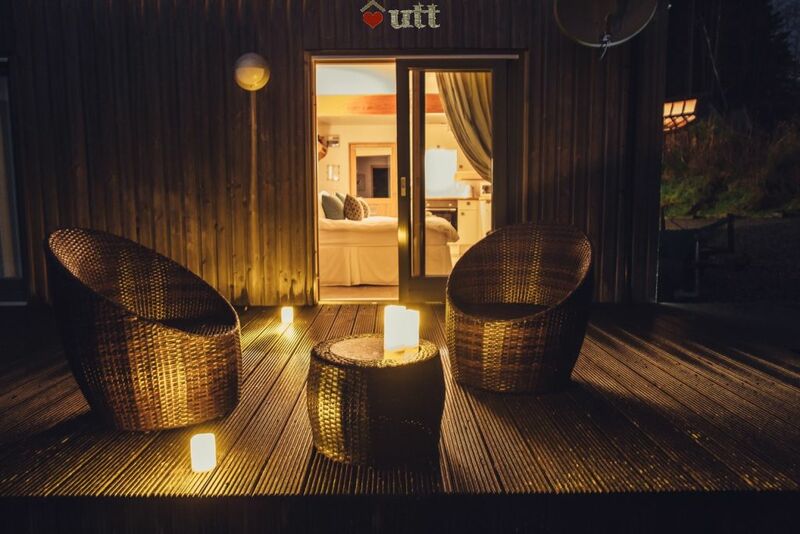 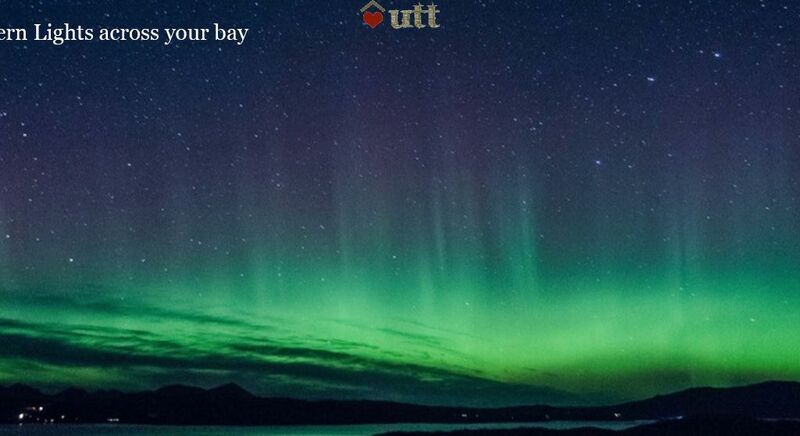 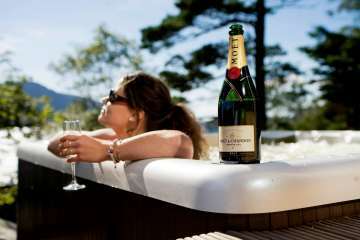 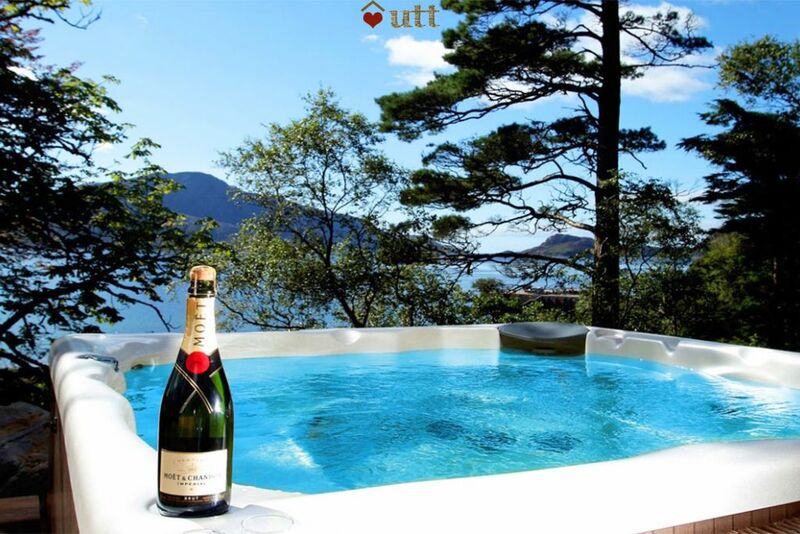 It enjoys exclusive use of a hot tub overlooking the loch and is just yards from the beach. 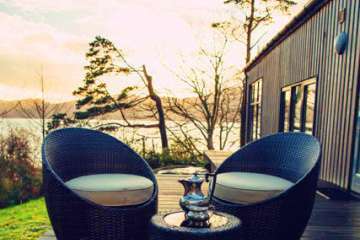 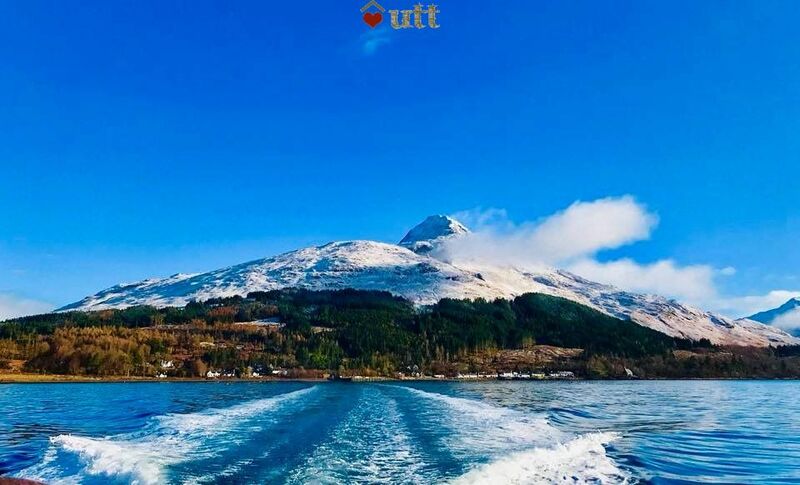 It offers a remarkable 'castaway' Highland experience as the beautiful location is only accessible by boat or on foot over the mountains. The location is truly special - you'll most likely access via the regular water taxi. 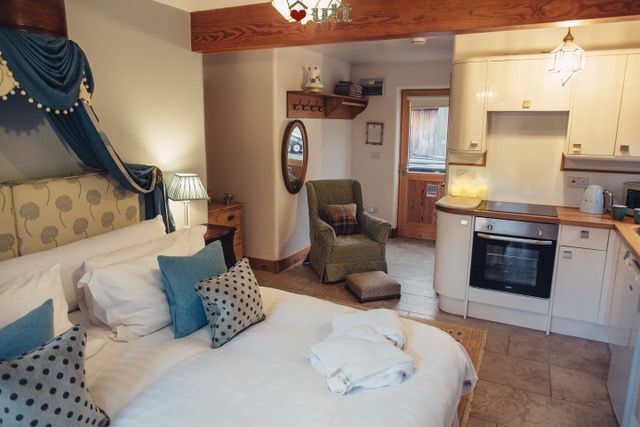 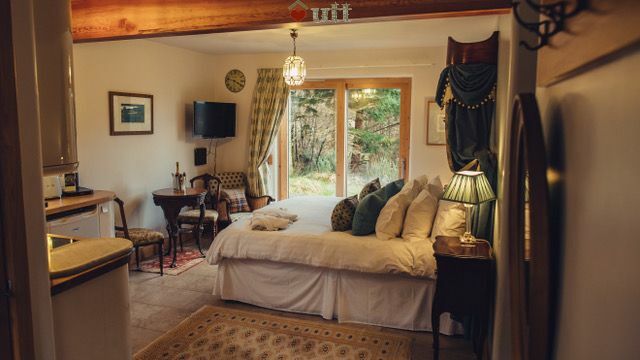 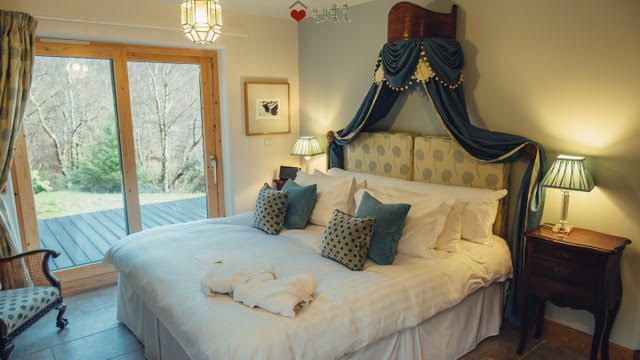 Set in a stunning elevated position, within ancient woodland privately set back from the village, The Studio makes a great spot to escape and relax. 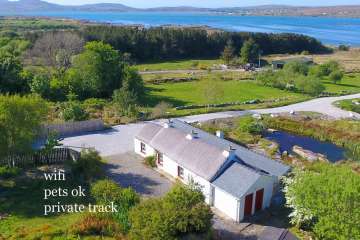 You will enjoy the peace and quiet that comes with the privacy of the coastal woodland. When you want to head out there's a celebrated village pub and shop. 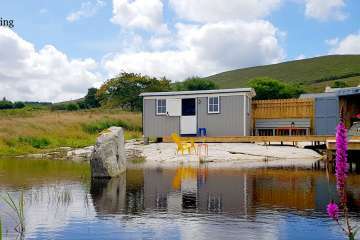 Despite the remote location the village offers three restaurants, a community shop, pottery, tearoom and farm shop. 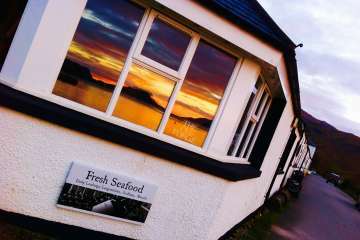 If you prefer to stay home we can help you arrange seafood and fresh bread delivery to your door or for a massuese to visit. 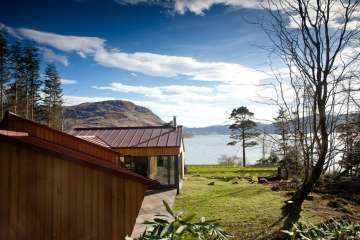 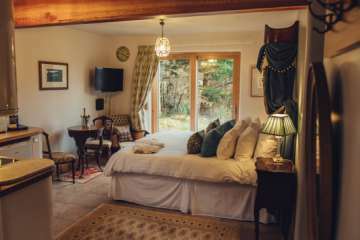 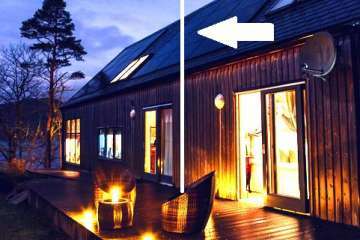 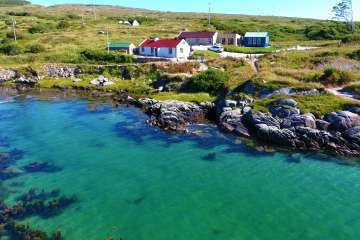 Despite being essentially a self-contained annexe to the owner's larger house, the studio room is very private, so you share your views with only the deer, golden eagle and abundant birdlife while (if lucky) watching dolphin, porpoise, seal and otter in the loch. 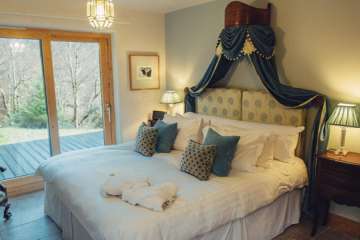 The Studio Room is designed to create a totally separate self-contained studio room with kitchenette, WC and shower, private entrance and exit from the rest of the property and balcony/decking accessible by French sliding doors to provide additional accommodation available for rental exclusively for couples use. 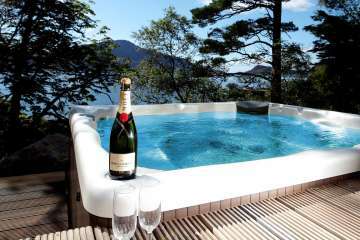 The hot tub at the front of the main house is for your exclusive use for the duration of your stay and privacy screens are provided. 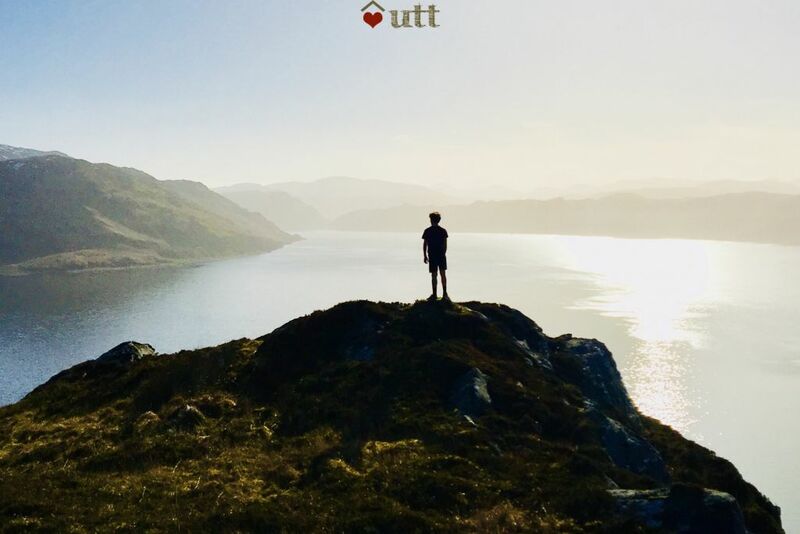 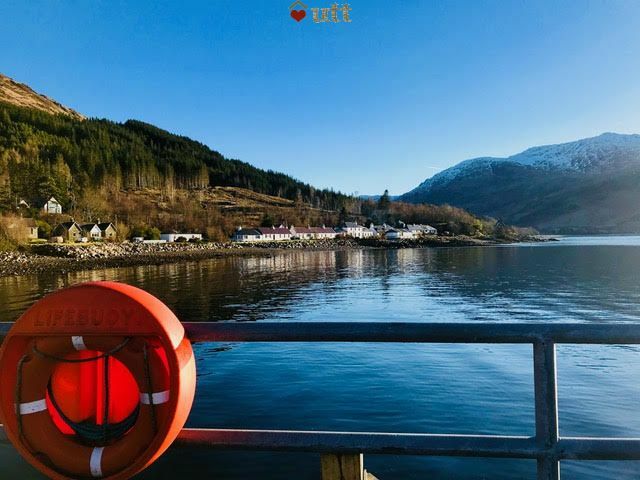 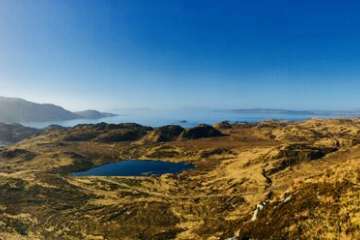 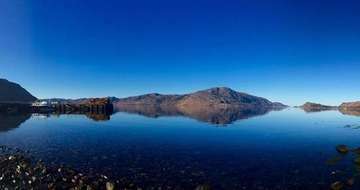 Knoydart offers a unique getaway experience being remote, with boat access only and Google maps would have us believe you could drive in - but you can't! 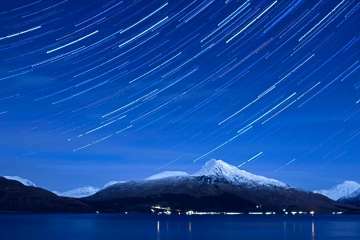 There are a number of excellent connections that can take you here directly. 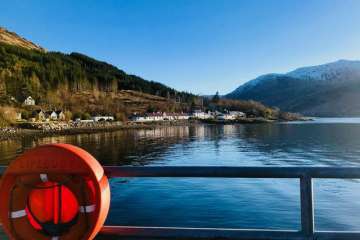 All trains to Fort William and Mallaig go via Glasgow train station. 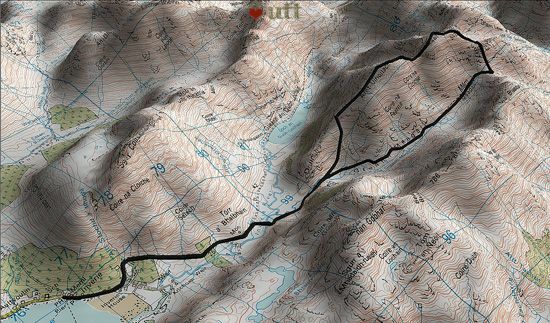 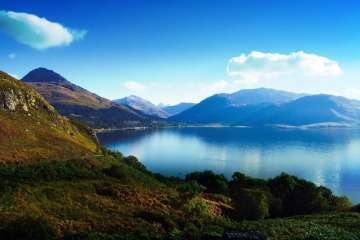 By car, follow the famous A830 'Road to the Isles' from Fort William. 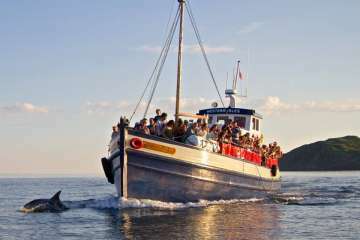 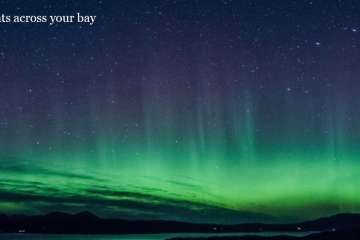 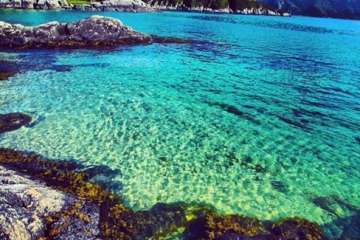 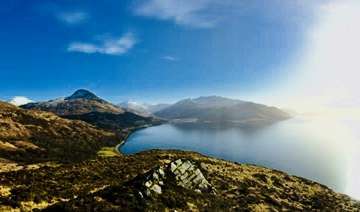 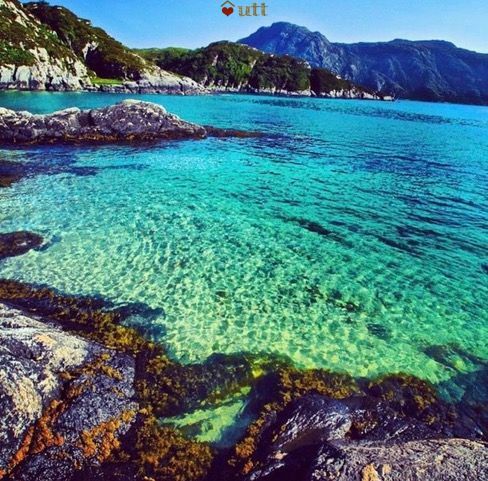 Best to allow yourself 1-1 and ½ hours from Fort William to Mallaig. 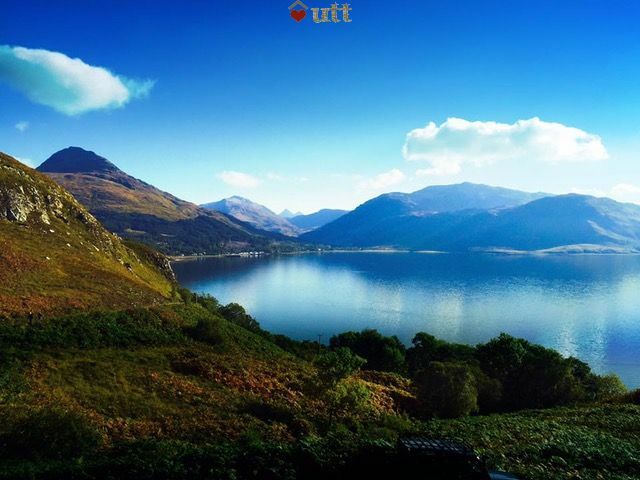 3 ½ to 4 hours if travelling from Glasgow to Fort William the same from Edinburgh to Fort William or 2 to 2 and ½ hours from Inverness to Fort William. Harry Potter fans will be delighted by the viaduct bridge made famous on the Hogwarts Express/flying car chase is Just after the Glenfinnan monument. 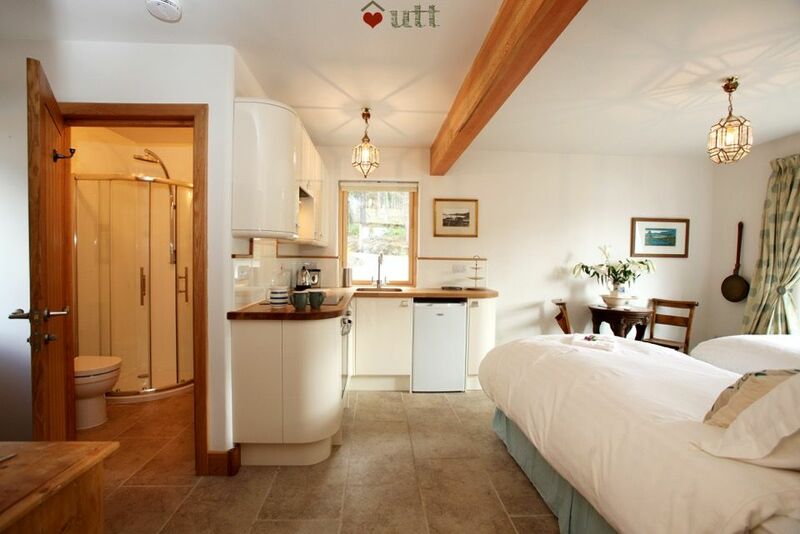 Wifi and central heating throughout. Private entrance and decking. 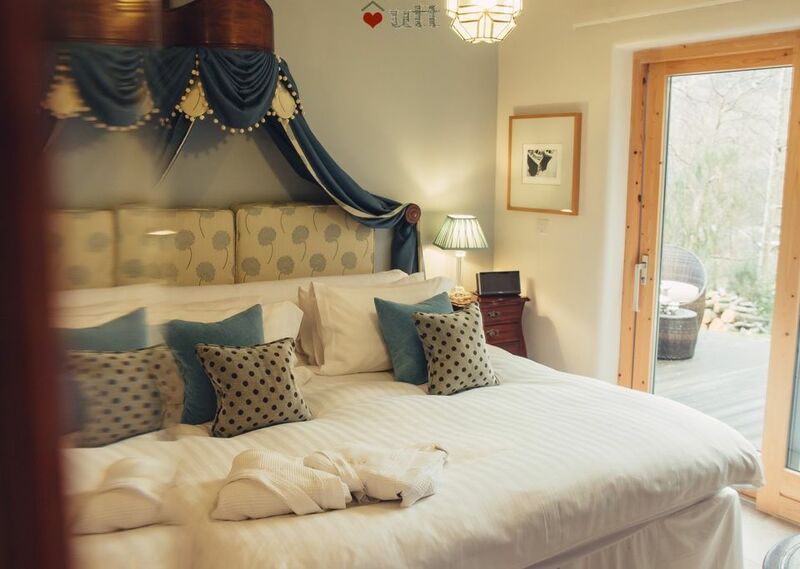 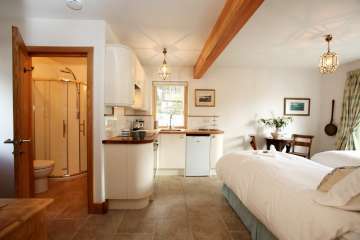 Sleeps 2 guests - in one self-contained studio room apartment with self-contained kitchenette. 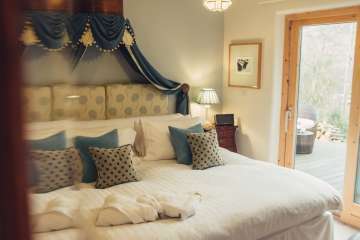 The studio room has a super king double bed or can be configured into a twin on request. Cot also available on request for under twos. 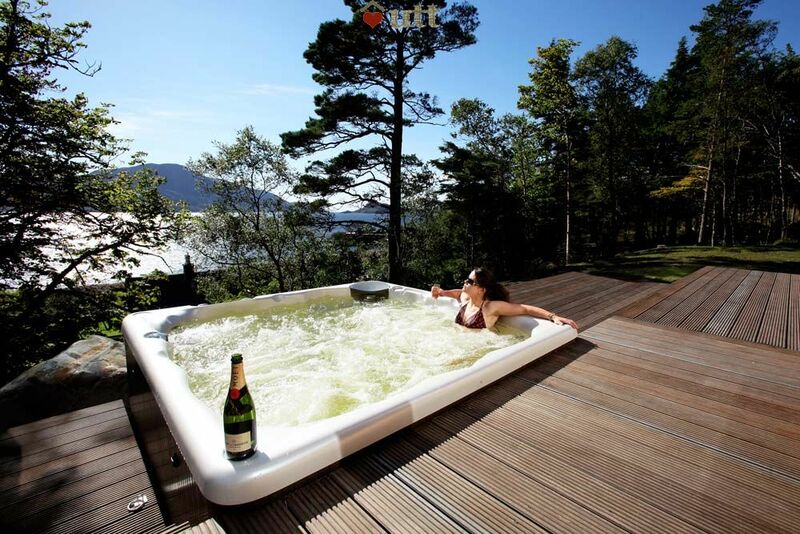 Exclusive use of hot tub on the decking to the front of main house. 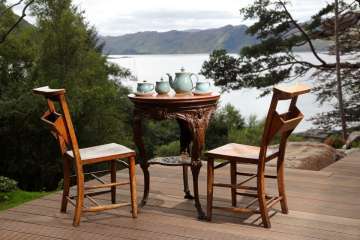 Shop in the village Pottery.